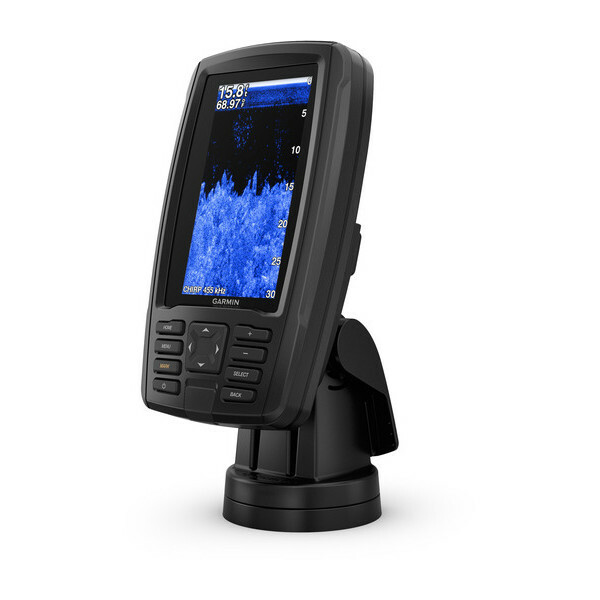 The Garmin ECHOMAP Plus 44cv offers superior ClearVu sonar images on a bright 4.3” color display providing you with photolike images of what’s directly below the boat as you are cruising around to find your favorite fishing spot. Built in G3 coastal mapping, covering the entire US, offers detail for all offshore and inshore use helping you navigate with ease. Working with the internal 5Hz GPS receiver, you will see little to no delays while moving along your navigation screen keeping you aware of your surroundings at all times. 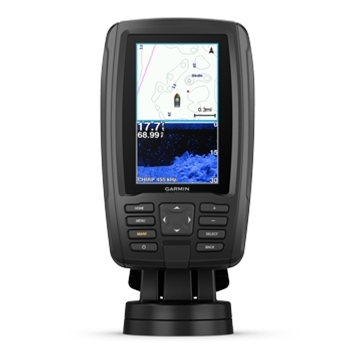 Garmin’s internal G3 mapping includes tidal stations, currents, depth contours, IALA symbols, fishing charts and allows customizing with shallow water shading, ensuring safe depth navigation. You also have the ability to further enhance your mapping views thru the microSD card slot with Garmin's Bluechart G3 Vision charting, adding high resolution satellite imagery, 3D views above and below the water line and even exclusive Garmin Auto Guidance technology which based on your boats specs will provide you with a safe navigational path. Mark Waypoints, Create Routes and even share that information with other compatible echoMAP and STRIKER units with the User Data Sharing Cable. Your echoMAP 44cv Plus is also Minn Kota and MotorGuide trolling motor transducer capable as well, broadening the horizon for mounting options on smaller boats. 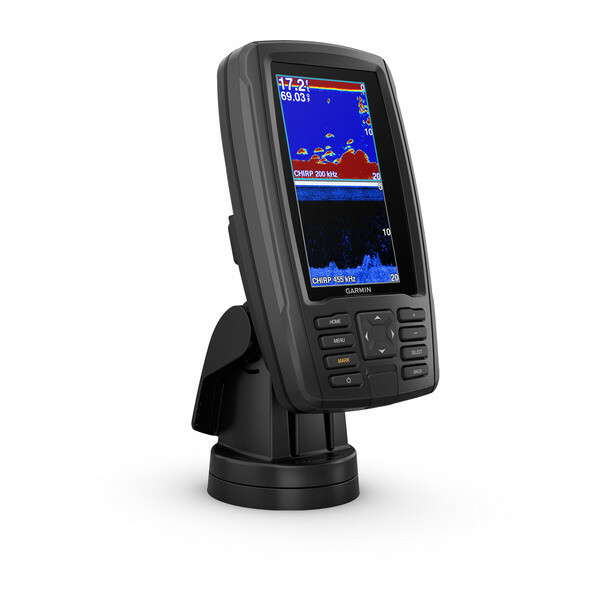 This Garmin echoMAP 44cv Plus provides every user with supported frequencies such as traditional sonar ranging from 50/77/83/200, ClearVu ranging from 260/455/800, and CHIRP frequencies ranging from low, med, high, giving every user a broadened horizon for fishfinding. For a simple, solution for sonar and navigational use, the Garmin echoMAP 44cv Plus with transducer is the perfect option. For more information on the plug and play Garmin BlueChart G2 Vision HD chart cards click here for a full list of the available regions. Flush Mount your 4" echoMAP / echoMAP CHIRP unit with Garmin's Flush Mount Kit. Kit includes hardware, installation instructions and a template. Compatible with Garmin echoMAP 4xdv, echoMAP CHIRP 4xdv and echoMAP Plus 4xcv units.